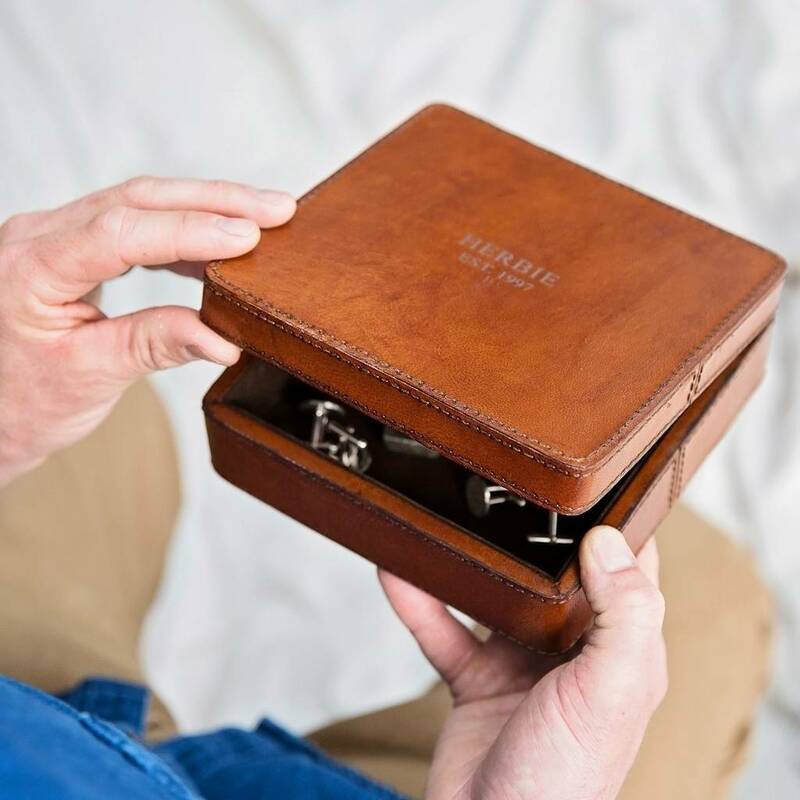 Perfect for keeping everything in its place, this personalised leather cufflink box is a high quality, ethically produced storage box. This leather storage box is a great gift for men to keep their cufflinks neat and tidy. 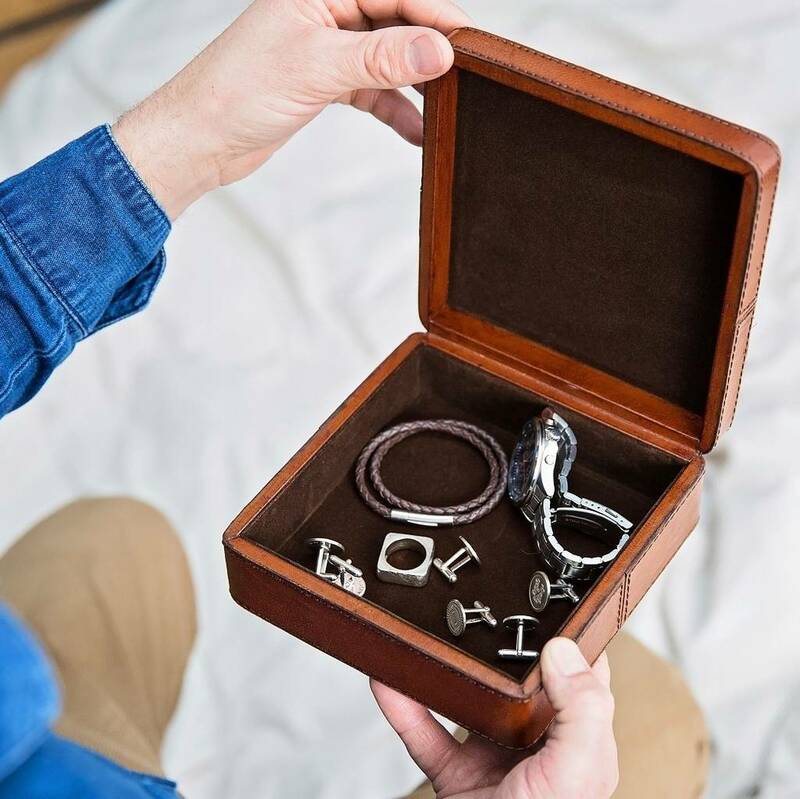 You could also give it as a luxury gift box for his wedding cufflinks. 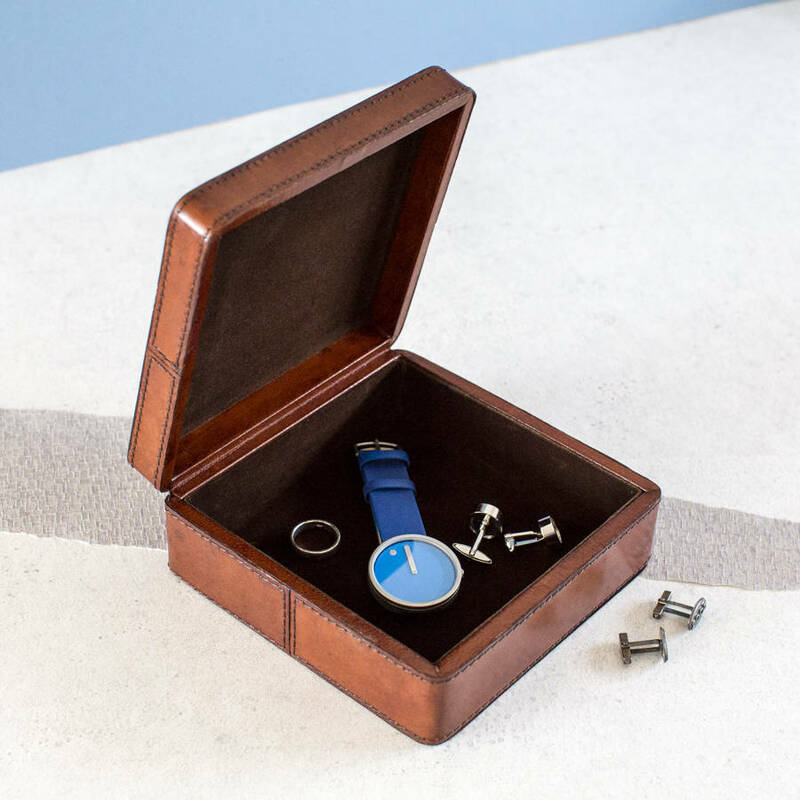 The box is carefully crafted in tan leather, and is a classic square shape. 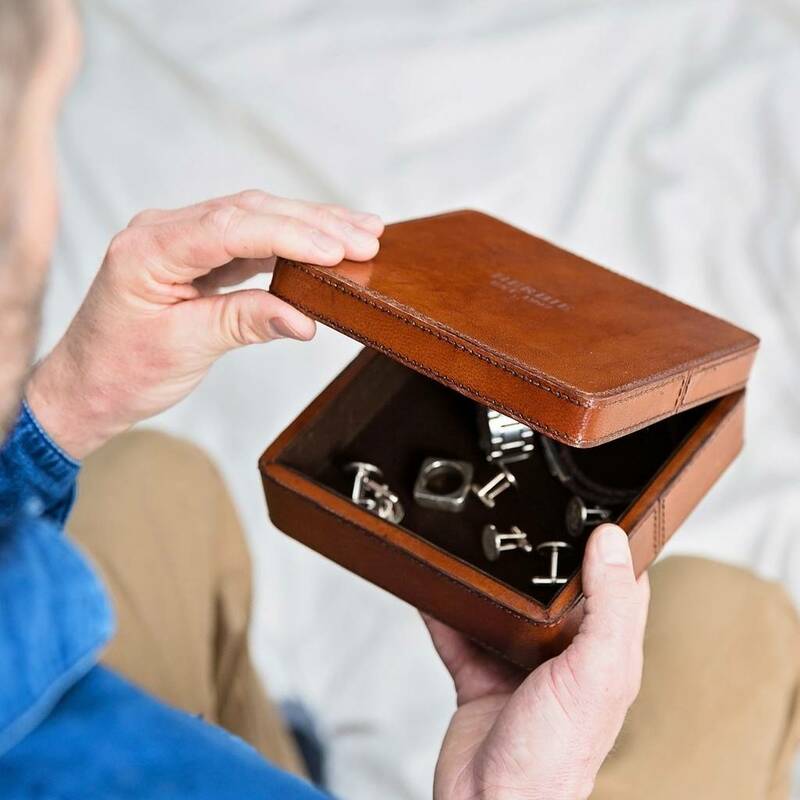 Your choice of name or wording is placed on the lid of the box, which fastens with a hidden magnetic closure. 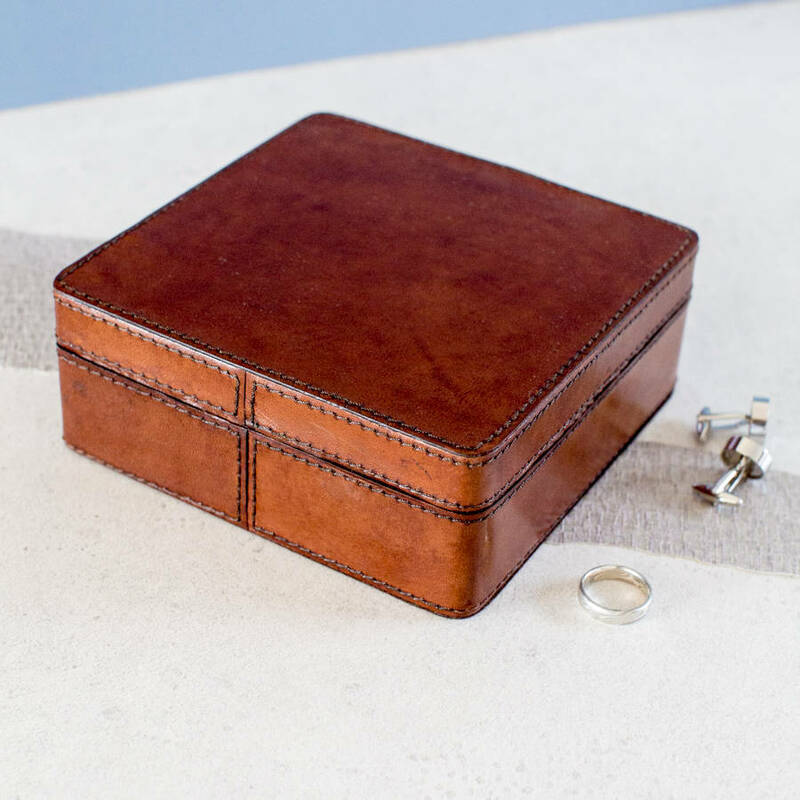 A great choice for a 3rd (leather) anniversary, Father's Day, wedding, special birthday, or at Christmas. Personalised or plain. 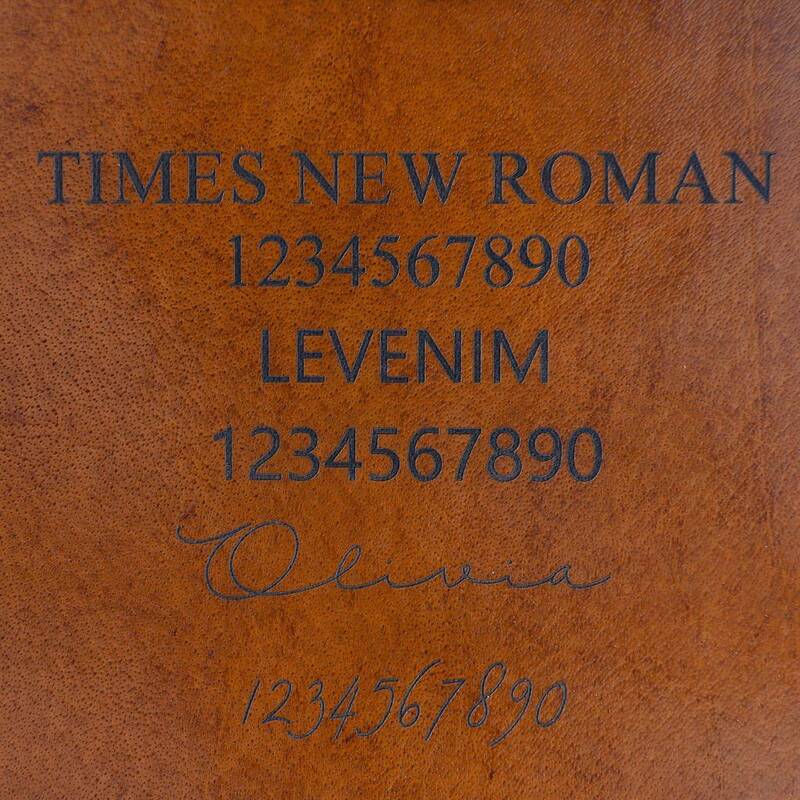 If personalised, your wording will be placed centrally on the top of the lid. Choose up to 8 or 25 characters. 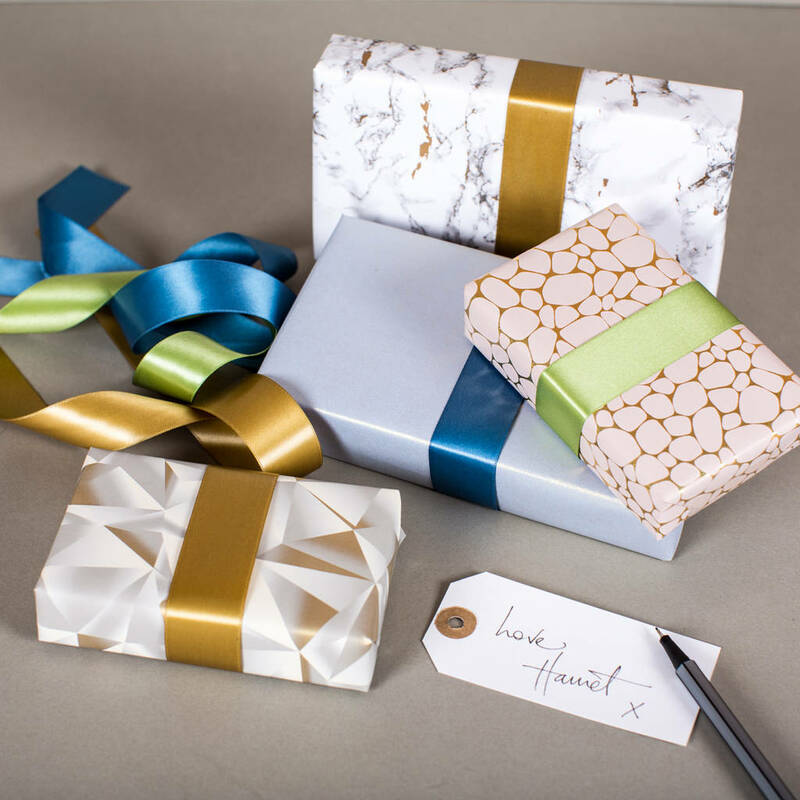 FREE next day UK delivery on plain boxes ordered before midday. Please allow an additional 1-2 days for personalised items. If you have a pressing deadline please tell us, we can't promise but we shall try our hardest. Double check (and check again) all spelling and punctuation as we use exactly what appears on your order. 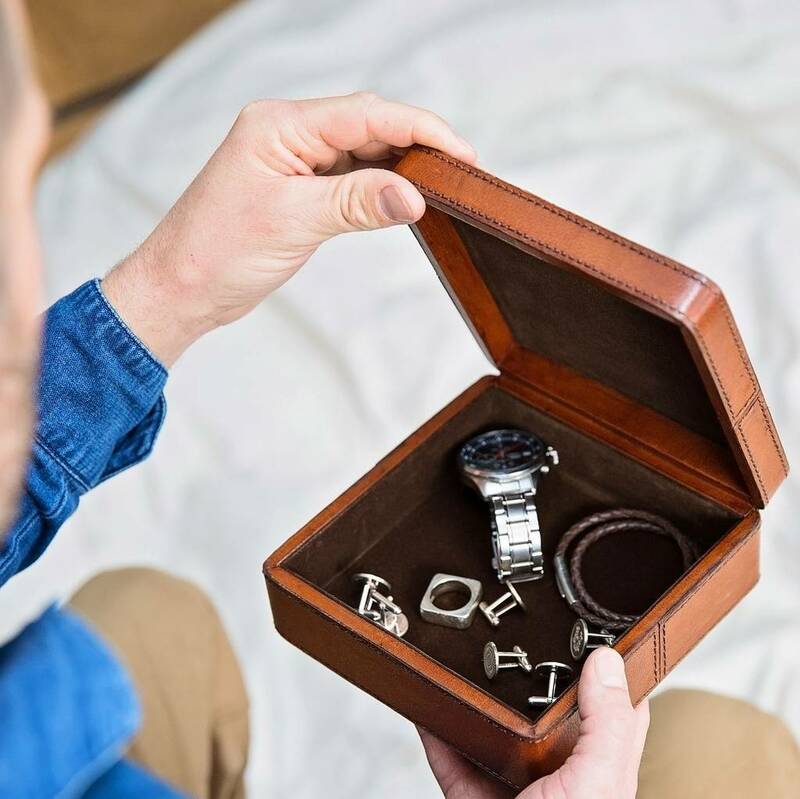 Handcrafted using natural materials means that some slight variations in colour, texture and marking might occur - we believe this makes every single item more personal and one of a kind. Quality leather with cotton stitch detail and lining.